In addition to creating albums and illustrations related to them, René Sterne also drew several publicity posters and imagery, some of which can be seen below. 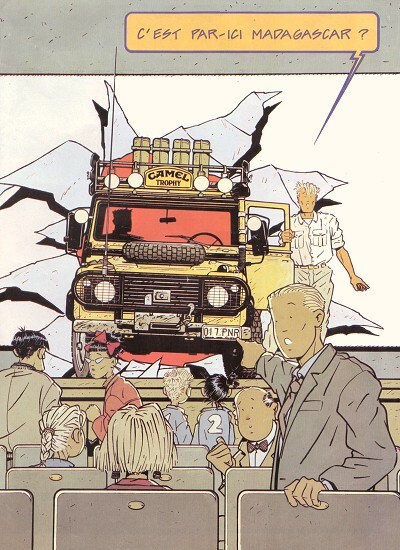 Drawing for Camel Trophy (1990s). 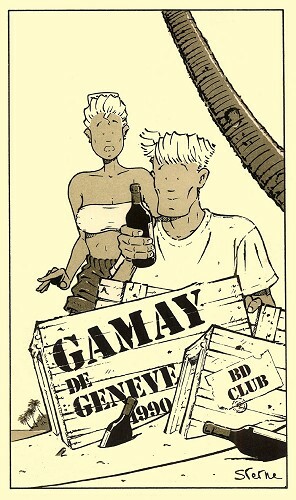 Drawing for Gamay of Geneva (1990).